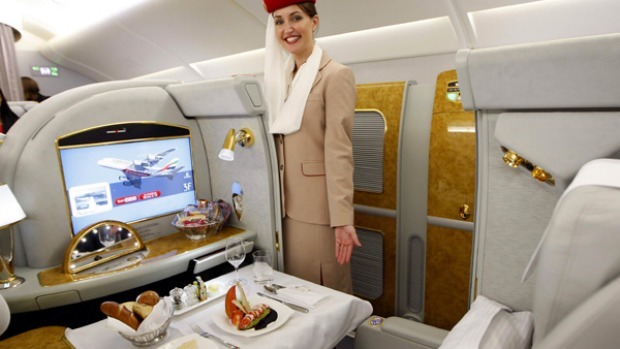 Ever wished that you could fly like the rich and high rollers do–ride a plane be served with the finest bottle along with cheese and caviar and be treated like a king? Well, if you have at least $14,000 to spend, then maybe you can purchase yourself one of these most expensive plane tickets to date. With a plane ticket worth $14,000 you’ll sure have a comfortable flight from New York to Singapore with Singapore Airlines’ newest first-class suites. 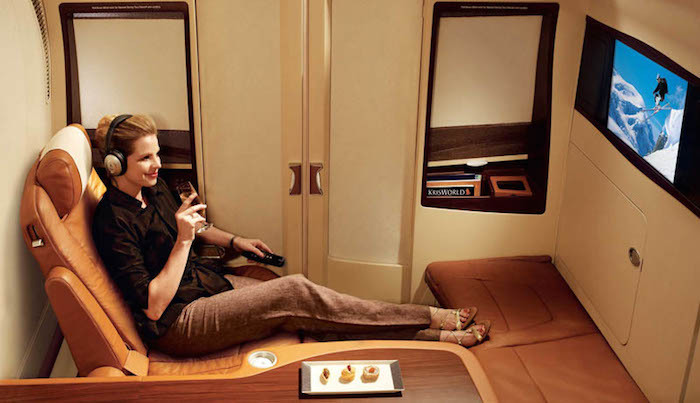 This expensive flight comes with the perks of having your own cabin room that is enclosed with sliding doors. Of course, the room contains more than a reclining seat since it features a bed, 23” LCD TV, entertainment system, and a dining table where you’ll be served the finest food and wine high up in the air. Passengers of this flight will get first-class treatment even before they fly since they get to enjoy an exclusive lounge with amenities such as leather seats and a fireplace. The luxury, however, goes up a notch inside the plane with their six-foot full-reclining seats, touch-screen entertainment system, overflowing champagne, and a menu from no other than celebrity Aussie chef, Neil Perry. Your trip to and from the Land of the Rising Sun will never be as luxurious as when you take Japan Airlines’ first-class flight from LA. Besides the spacious leather seat and fully-equipped entertainment system that this flight has, passengers are also offered an array of both Japanese dishes such as sashimi and sushi as well as a number of Western foods. Of course, red wine, champagne and sake are also served on this flight. Attending a board meeting in Hong Kong? Why don’t you take this $17,000+ Lufthansa flight from New York? With a five-star rating from Skytrax, you’re sure to expect the best service from this German airline. Their first-class service in this flight includes standalone seats, bed, toiletry kits, humidifiers, and a pairing of the finest wine and dishes from a Michelin-starred chef. 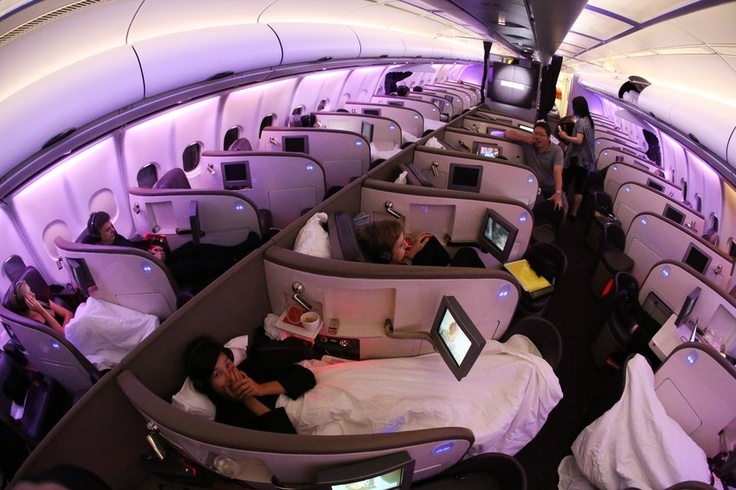 If you’re not feeling the Lufthansa NYC to HKG flight, then you might want to check out the Virgin Atlantic flight to and from the same cities, but it will cost you a couple thousand dollars more. This upper class flight includes a fully-reclining seat (that could also be swiveled), your own entertainment system, and a world-class service from their crew. This $22,000 flight to Singapore is nothing but the best for passengers who can afford this steep price for an airfare. This flight, which has a layover in Zurich, includes world-class services, bespoke toiletry, and of course, a menu picked by a Michelin-starred chef. 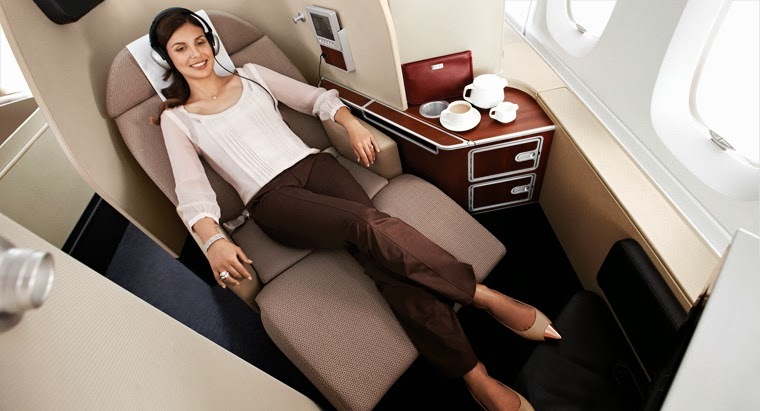 If items #6 and #7 still don’t meet your standards for a luxurious flight, then maybe this $26,000 plus flight from Cathay Pacific to and from New York and Hong Kong is just the right one for you. Flying first class on this plane will give you enough room to spread your legs, and even catch a quality sleep during the 14-hour flight. If you’re hungry, this flight serves all the best Hong Kong dishes paired with wines, and of course, a caviar breakfast; can it get any fancier than that? If you’re off to see the Great Wall of China, then one of the options you might want to choose from is this Korean Air flight from New York to Beijing, which will cost you $27,000 for a round trip fare. But don’t worry; this flight will make your every dollar count especially with the plane’s first-class Kosmo Sleeper Seats that allow the passengers to lie flat during the long haul flight. Of course, you get to taste exquisite Mandarin dishes here accompanied by the finest bottles of wine. Are you going to Abu Dhabi to check on your latest investment in the Middle East? You probably want to grab this flight from Etihad Airways flying from San Francisco. The seats in this first-class flight will give you privacy with their partitioned cabins equipped with a 23” screen. 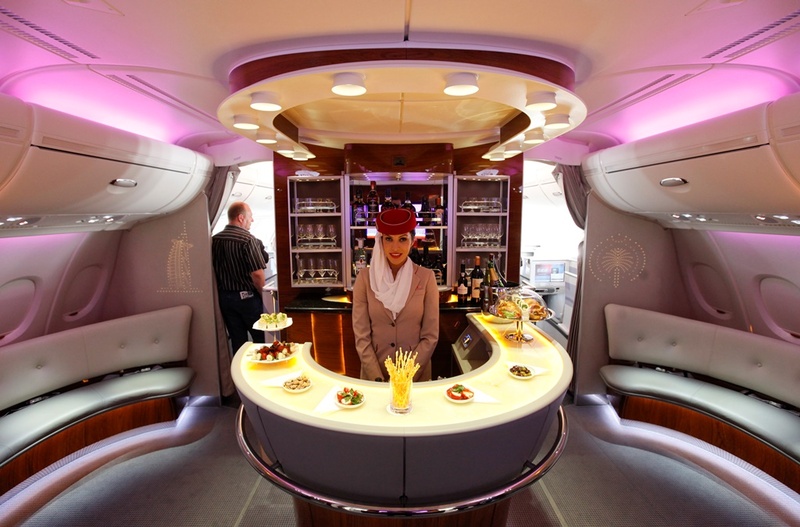 This flight also features a minibar and an a la carte menu with elegant and tasty dishes.